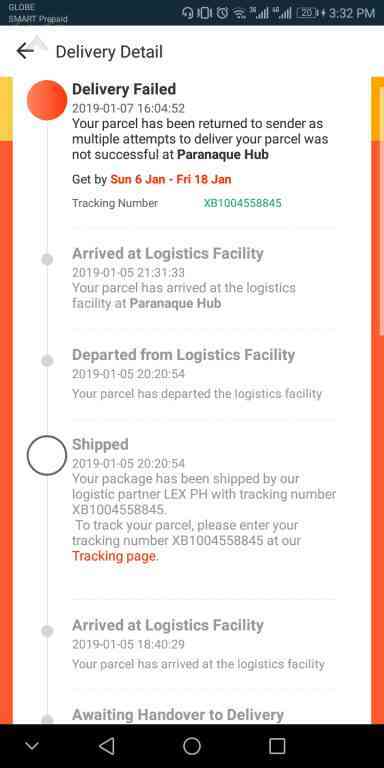 Lazada Philippines in Taguig, Manila - The package never arrived but you claimed it was delivered. WHERE IS IT? 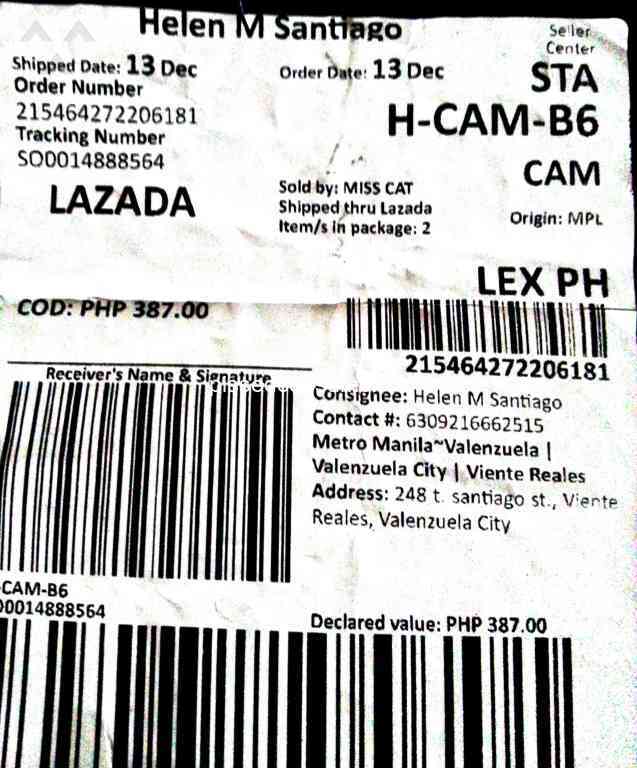 Lazada Philippines in Taguig, Manila - Now way to contact except chat! My email was hacked and used to create a Lazadas account. 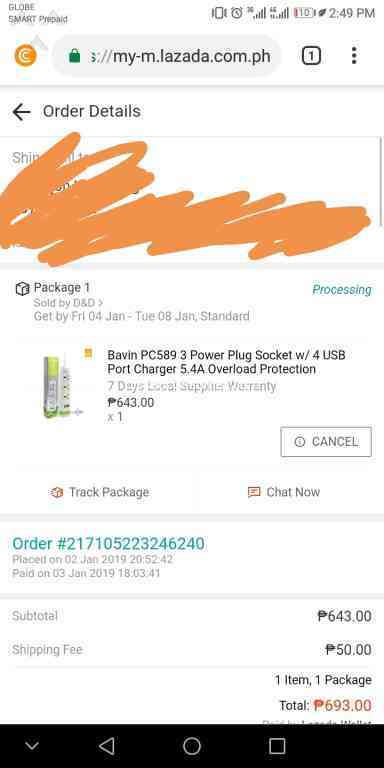 Their order email says to contact asklaz@lazada.com.ph if you were not the one who ordered. The email bounced saying we have to contact thru chat. I am in the US, and their chat is Philippine time. they should not have offered the email if it will not work. Order number 215464272206181. 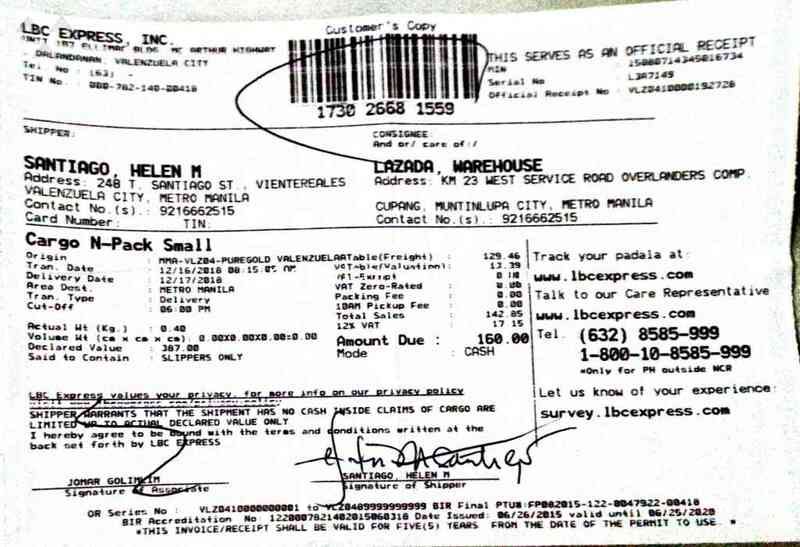 Last December 15, I talked to Janica the customer service representative and I asked her how can I returned the item since the 7-11 is off line and she advised me “if you haven't drop off the item yet please advice LBC that you will manually return the item and shoulder the shipping cost for the meantime and will refund you the shipping cost.” Until now i didn't receive the refund for the shipping cost that i pay out. 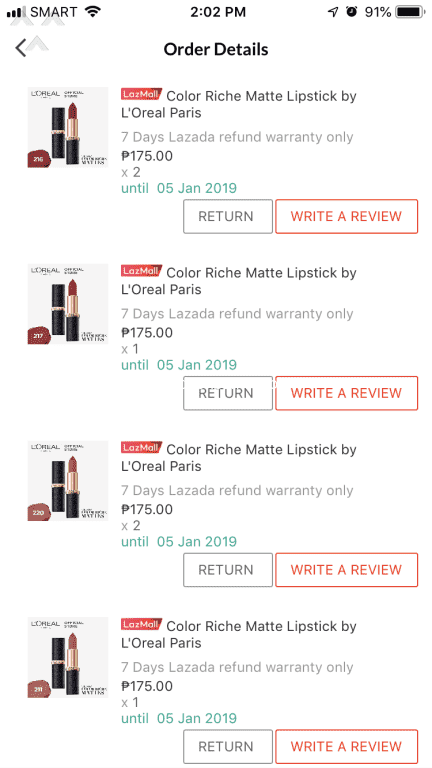 Ordered 9 lipsticks from LorealPH during Lazada 12.12 promo. 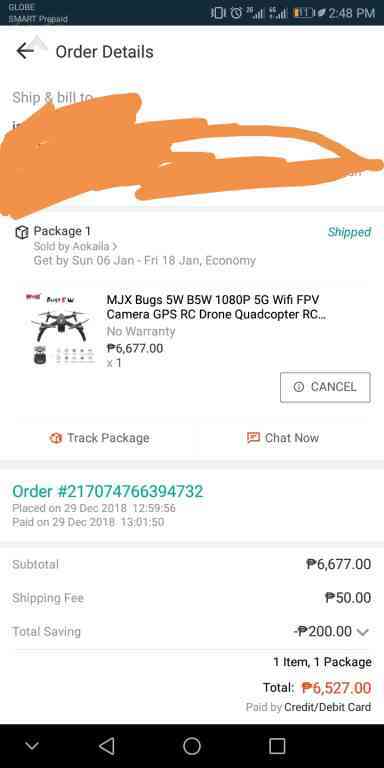 Expected delivery should be from Dec 12 to 18 but got my orders delivered only ob Dec 21. Paid in full but only got 7 of the lipsticks I ordered. 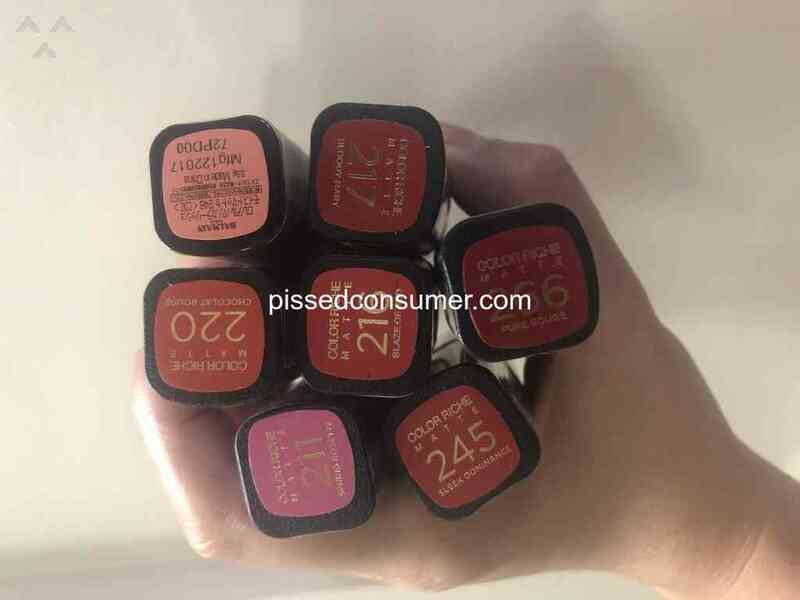 Chatted online directly with Loreal since the problem is they shipped incomplete items. I was given standard response to call Lazada hotline or go to the website. 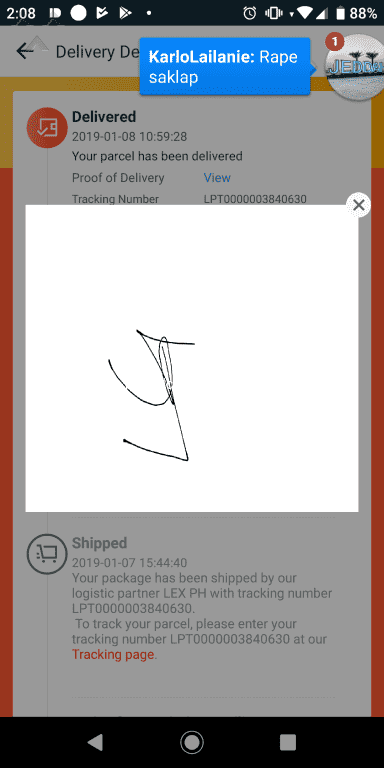 I was trying to return the items but Lazada App keeps on having errors.